If you find yourself reading about Venezuela from the comforts of a democratic country, or a well functioning society that supports freedom of expression, then fathoming its crisis is virtually impossible. Protests led by the country’s opposition have cemented the streets since President Nicolas Maduro called for a referendum vote to rewrite the constitution – allowing him to remain in power indefinitely. Following the approval vote that came in on July 30th, the protests are now leading the country into a state of chaos. There’s plenty to be said about Maduro’s allegedly ‘legitimate’ elections; such as the misalignment between Maduro’s claims of a 41.5 percent voter turnout (despite the opposition boycott of the vote and a 20 percent approval rate of Maduro in the country) and the opposition’s claim of 12 percent. Furthermore, protesting in the days leading up to the vote were outlawed and media outlets banned from interviewing voters in the polling stations (with tough sentences to those who disobey); all of which are indicators of a dictatorship simmering just under the wafer-thin facade of voting rights. Venezuela, a country otherwise plentiful in natural resources, is expected a drop of between 35 to 40 percent in GDP this year as a result of the economic policies started by Hugo Chavez. 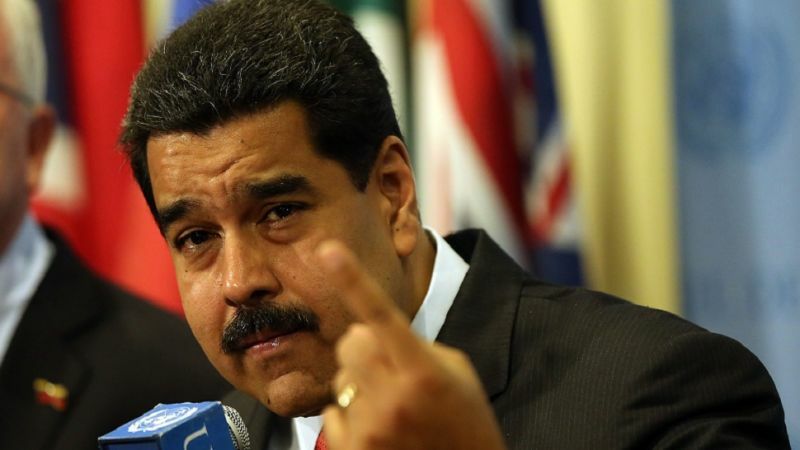 In conjunction, various nation states have just placed sanctions on Maduro and a security crisis is underway with a civil war between its left wing socialist government and opposition; it is a crisis of political rights. While Maduro is not hugely distinct from his predecessor, Chavez arguably won the hearts of his Chavistas by respecting voting rights embedded in the foundation of democracy. Here Jeremy Corbyn’s refusal to condemn Maduro reveals its faults: appreciating an extreme socialist agenda (and turning a blind eye to its violent side effects at that) of a leader who respects political rights sorely differs from sympathising with Maduro’s disregard for democratic principles altogether. As the streets of Venezuela continue to burn, it seems we’re all too occupied with the ideology that stands behind Maduro’s actions; such is often at fault with Left wing liberalism. Yet as conversations in the West continue to revolve around whether Maduro’s regime constitutes a neoliberal-dictatorship, oppressive-socialist leadership, or any other hyphenated intellectualised tag, the basic freedom to protest in front of governmental buildings in the capital has become forbidden; this often neglected fact, in itself, solves all our preempted ponders.